For kids, helping in the kitchen builds confidence and encourages independence, plus it’s a valuable contribution to the family. Not only do I want my kids to learn cooking and safety skills, I want them to enjoy creating and experimenting and tasting! That’s what this Creative Cooking Challenge is all about – trying new foods, creating unique dishes, and spending lots of time in the kitchen. 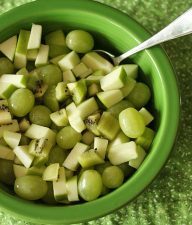 I’ve included both basic cooking challenges, such as pasta, fruit salad, and breakfast, as well as some think-outside-the-box challenges. Can you create a signature sandwich? What can you serve in an ice cream cone besides ice cream? 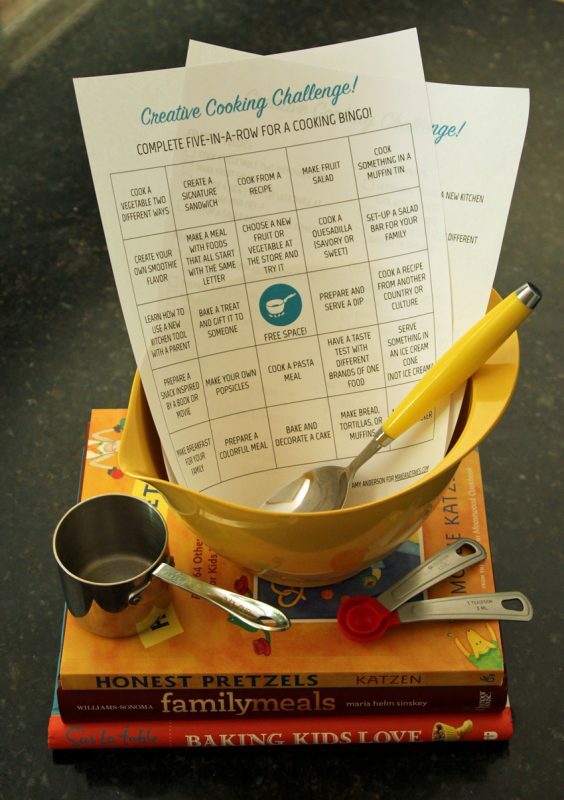 My girls are most excited about this challenge: prepare a snack inspired by a book or movie. Fun! 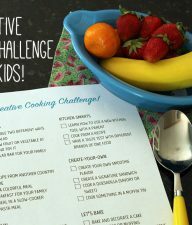 Some of the challenges encourage kids to branch out and try new foods, like an unusual fruit or vegetable from the store or a recipe from another country or culture. 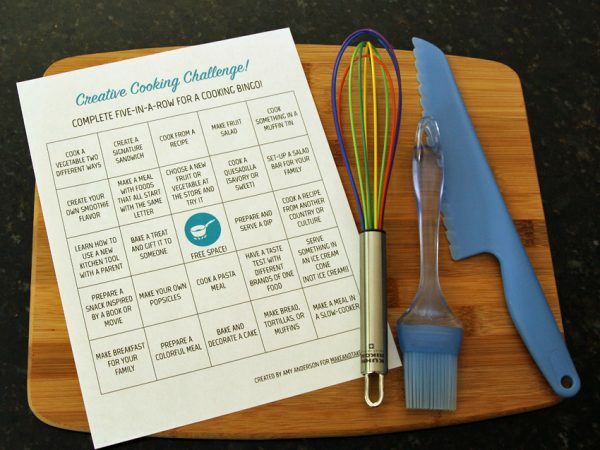 The Creative Cooking Challenge free printable includes two versions – a bingo board and a checklist. 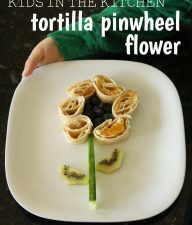 Use whichever one gets your child excited about being creative in the kitchen! 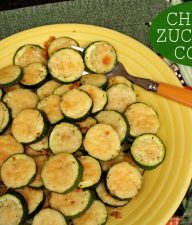 We’re planning to work through as many cooking challenges as possible this summer. I think it will be a great way for my girls to keep busy and learn some new skills. Maybe I’ll even get a few nights off from cooking! Whether your kids are kitchen novices or running weekly neighborhood Chopped Junior challenges, there are plenty of cooking ideas to keep them busy. 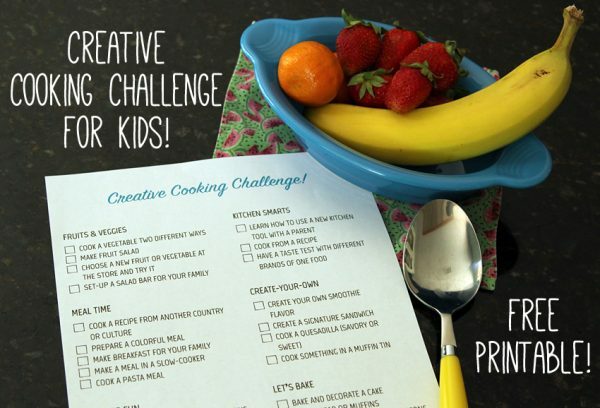 Download the Creative Cooking Challenge and get ready for some fun in the kitchen!